Kono Michi, Japanese for “This Path,” is Michi's chamber-pop project of all-original works and covers. Kono Michi’s compositions for string quartet, vocals, drums and bass have been heard on NPR, WYNC, and are broadcast regularly on the BBC. She has performed in BAM Café, Barbés, Pianos, Merkin Hall, Thalia Theater at Symphony Space, Detroit Institute of Art, DROM, Galapagos, and the World Café Live in Philadelphia, and has toured Scotland and England, including several performances in London. Kono Michi has released several critically-acclaimed recordings. The Strad magazine writes: "This is a great advert for music that breaks through the pop-classical barrier. Her voice is gently honeyed, with a Bjork-like quirkiness that tempers the languid, summertime ambience of the sound. And around the succinct text, she crafts precise, imaginative textures... intriguing and exquisitely beautiful." 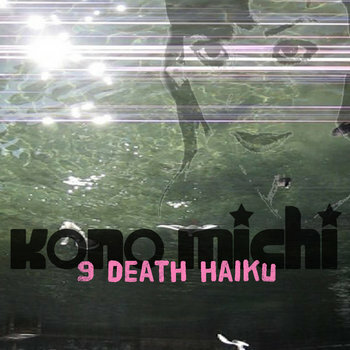 Visit Michi's discography to hear her various Kono Michi releases, and check out the video page for some DIY music video goodness.